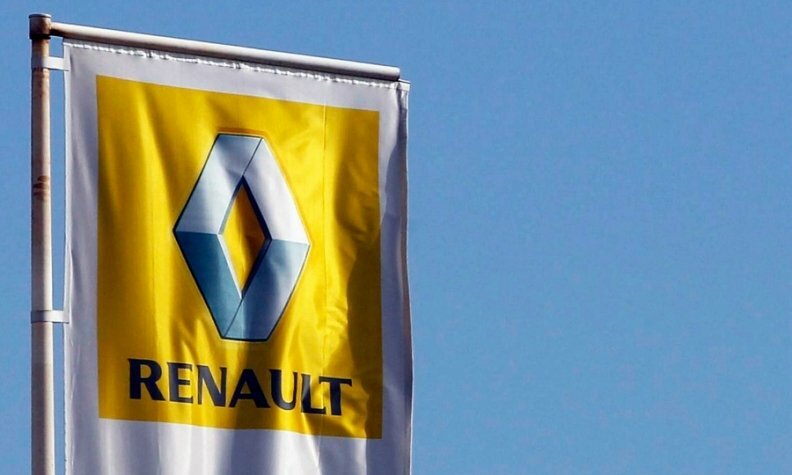 PARIS -- The European Investment Bank has asked French investigators to find out whether 800 million euros ($863 million) of EU-backed loans to Renault could have been used to develop test-cheating diesel engines, according to documents seen by Reuters. The European Union lending arm wrote to judges leading a fraud investigation into preliminary findings that Renault diesel engines - like Volkswagen's - had been configured to manipulate nitrogen oxide (NOx) emissions tests. Renault, which has consistently denied breaking any laws or emissions rules, had no immediate comment on Friday. The Luxembourg-based European Investment Bank (EIB) and Paris prosecutor's office did not respond to requests for comment. Since 2009, the EIB has granted more than 8 billion euros in preferential loans to back development of vehicles with lower carbon dioxide (CO2) emissions by carmakers including VW, exposed in 2015 for using software "defeat devices" to dupe U.S. regulatory tests. Technologies funded by the EIB have included diesel engines, because they emit less CO2 than gasoline equivalents. More recently, however, diesels have been shown to produce many times the legal limit of toxic NOx in real driving. "The EIB has granted Renault several loans to finance projects including research and development to reduce vehicle CO2 emissions (amounting to more than 800 million euros)," the bank's chief fraud investigator told the French judges. The Jan. 30 letter also proposes a follow-up meeting "in order to establish whether our financing is implicated in your investigations and to offer you all possible assistance." It adds: "The EIB enforces a zero-tolerance policy towards fraud and corruption and strives to ensure that no illegal activity tarnishes its business." Renault shares fell 7.8 percent in three days to end last week at 78.65 euros after excerpts of a November report by France's DGCCRF consumer fraud watchdog appeared in newspapers, wiping 2 billion euros off the company's value. The stock has since recovered some ground to 80.37 euros, as of 13:10 CET on Friday. Based on the agency's findings, prosecutors opened an investigation in January into fraud allegations against Renault and its CEO Carlos Ghosn. If found guilty, the group could be fined up to 10 percent of annual revenue, or 3.58 billion euros. The DGCCRF report, also seen by Reuters, cites engine software parameters from Renault's own technical documentation that partially or entirely deactivate anti-pollution functions such as exhaust gas recirculation (EGR) and "lean NOx traps" (LNT) outside predictable regulatory test conditions. "The use of software in the (engine) calculator to limit the effectiveness of anti-pollution devices mainly or exclusively to vehicle approval tests is a strategy that Renault has implemented," the DGCCRF concluded. Renault has argued in press briefings that the limits on emissions control were necessary to protect its engines while maintaining driving performance and fuel efficiency, and therefore allowed under current EU rules. The carmaker has nonetheless recalled almost 11,500 cars to tweak engine calibrations and reduce NOx emissions - a handful of the 900,000 sold in France with the controversial software. Changes will include extending the narrow range of air intake temperatures within which the EGR is programmed to work. In France's climate, the calibration renders the anti-pollution device virtually useless for seven months of the year, Renault itself concedes in company documents also seen by Reuters. The EIB, the world's biggest multilateral lender with almost 80 billion euros granted each year, has faced scrutiny over its funding to carmakers in light of the VW diesel scandal and subsequent investigations in France and other countries. VW, which has set aside 22.6 billion euros to cover its U.S. criminal settlement and other costs, was awarded 400 million euros by the bank in 2009 to develop "green technologies." The German carmaker's use of EIB funds has been "very thoroughly" investigated, bank President Werner Hoyer was quoted as saying at a January news conference. "We have not found any indication that our loans might have been used for fraudulent purposes."